Here you can download all Android Smartphone and Tab USB driver. 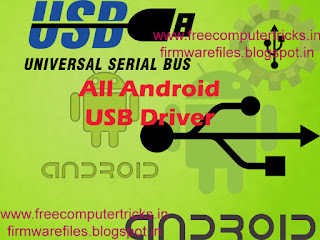 This Android USB driver pack can help you solve the USB driver issues of the Smartphones and Android Tabs. As you know Android USB driver need to install, if you want to flash or upgrade phone to connect with the flashing tools. Here we provides USB drivers for MTK (MediaTek), SPD (Spreadtrum), Mstar, Broadcom, Qualcomm, Tab Android Driver, Mobistel USB Driver, MediaTek Preloader and Android CDC Driver etc. Download the USB driver as per your requirement, below is the direct Google drive links to download All USB Drivers for your Android Devices. The Android All Tab Driver Pack includes:- A1x_Livesuit_109_32bit_64bit, Google_Android_ADB_USB_Driver_Rev7, HTC_Driver_4.0.0.009, Infotm_ADB_32bit and 64bit, Infotm_ADB_64bit, Infotm_OTG_Driver, Infotm_USB_Driver, LG_United_Mobile_Driver_3.8.1, MaPan_USB_Driver_Win7, Rockchip_X64-64bit, Rockchip_X86-32bit, Samsung_Usb_Driver_1.5.15.0, WM8850_ADB_Drivers and All preinstall .inf USB drivers.